San Francisco - Apple on Monday announced the next generation of its iPhone, boasting faster speed, longer battery life, more memory and a host of software improvements while cutting the price down to 99 dollars for a basic model. The announcement at the Worldwide Developers Conference in San Francisco came just two days after smaller rival Palm unveiled a phone called the Pre which many analysts had predicted would take a bite out of Apple's sales. But Apple's response looks to counter the gambit of rivals like Palm, Blackberry and phones powered by Google's Android software. Not only is the new iPhone more than a match for those phones on price and features. The existing models are all being reduced in price, with the iPhone 3G now available for just 99 dollars, the cheapest ever for an iPhone. 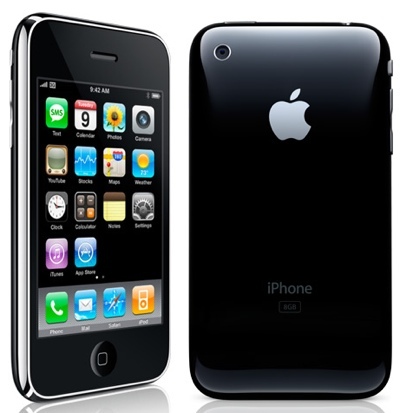 The new phone, called the iPhone 3G S costs 199 dollars for a 16 GB version and 299 dollars for a 32 GB version. Apple said the new features include improved speed and performance - up to twice as fast as the iPhone 3G - with longer battery life, a high-quality 3 megapixel autofocus camera, easy-to-use video recording, hands free voice control and a digital compass. iPhone 3G S includes the new iPhone OS 3.0, with over 100 new features such as cut, copy and paste, easy text messaging, spotlight search, landscape keyboard and more. Apple says the phone provides faster access to over 50,000 applications from Apple's App Store, where customers have already downloaded over 1 billion apps.